Sept 21, 22, 28, & 29 at 7:30 p.m.
Sept 23 & 30 at 2 p.m. The year is 1958, and the much-adored rock-and-roll idol -- Conrad Birdie -- has been drafted into the US army. His songwriter and agent, Albert, and Albert’s secretary and some-time girlfriend, Rosie, hatch a plan for a farewell performance to take place on The Ed Sullivan Show, which they hope will help sell Birdie’s new song “One Last Kiss,” and ultimately save Almaelou records from going under. 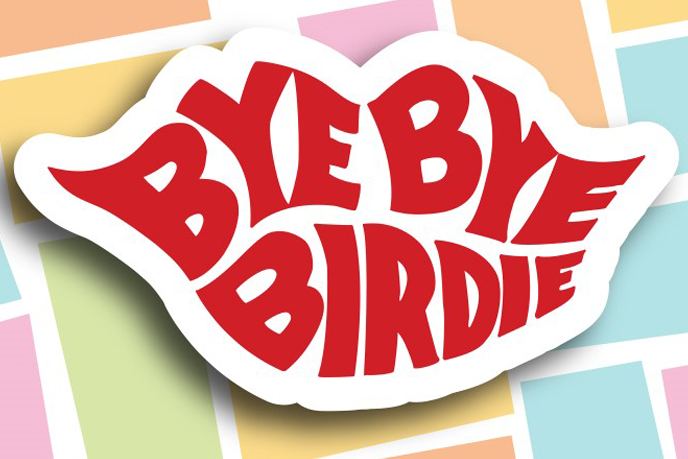 To cap off the performance, Birdie will actually give ‘one last kiss’ to Kim MacAfee, an avid member of the Conrad Birdie fan club from Sweet Apple, Ohio.